Office 365 is the next step in the evolution of business tools, delivering cloud-based productivity that complements the Office desktop experience. The heart of business productivity lies with the information worker. Never has one person been able to do so much, both independently and in collaboration with others. And never before has IT had to deliver such capability. Information workers demand the ability to communicate critical business information with rich documents, presentations and spreadsheets; the ability to share that information quickly and securely with reliable communications solutions; and the ability to collaborate with colleagues, customers and partners alike. Office 365 provides a suite of cloud-based applications to complement and enhance the Office desktop client experience. First among these is SharePoint Online. Instead of deploying and managing SharePoint internally, SharePoint Online gives you a complete hosted SharePoint experience. You and your business users have anywhere access to the rich collaboration, information management and business intelligence capabilities of SharePoint. From there, you can access documents using SharePoint Online via the Web, and also share them with others either within or outside the organization using granular permissions controls. Using the SharePoint Online Web portal and Office Web Apps, you can also simultaneously coauthor and collaborate on documents in real time (see Figure 1). This eliminates the need to constantly e-mail revisions back and forth. Using SharePoint My Sites, SharePoint Online allows users to add interests, skills and abilities to their online profiles, making it easier for users to find subject matter experts within the organization. This not only enhances business productivity, but the expansion of social and professional networks within the company. SharePoint Online also supports rich social tagging, ensuring that users and communities can organize information in ways that make the most sense for their business. 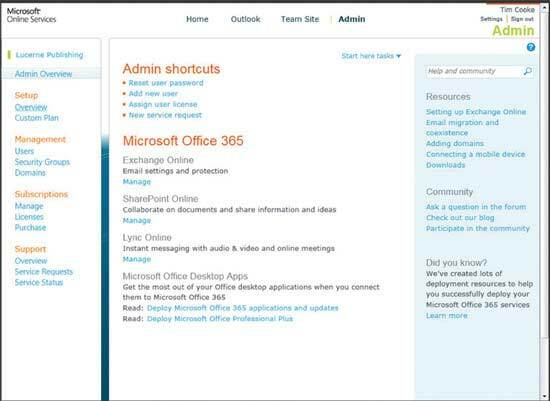 Office 365 also provides a robust, hosted communications infrastructure, using Exchange Online and Lync Online. Exchange Online provides e-mail, calendar, contacts and tasks infrastructure, as well as the complete functionality of an internal Exchange deployment, including presence information, publishing free/busy data, and MailTips. You can access Exchange Online services in a variety of ways, including the full Outlook desktop client, the Outlook Web App (see Figure 2) and mobile devices using Exchange ActiveSync. 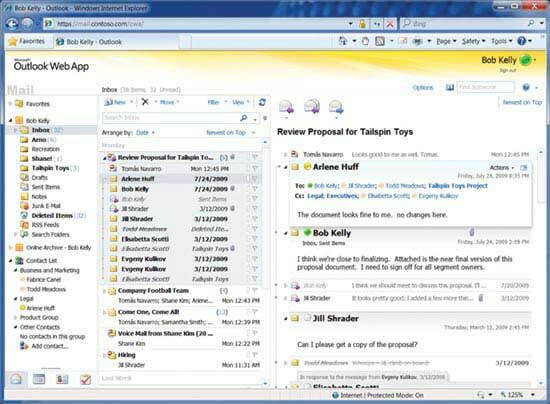 The Outlook Web App provides full functionality across browsers, including Internet Explorer, Safari and Firefox. Lync Online lets you access a hosted version of Microsoft Lync Server, the successor to Microsoft Office Communications Server. It provides a reliable, secure and real-time communications platform, along with a plethora of next-generation capabilities. Lync Online gives you anywhere, anytime communications across instant messaging, audio and video calling, online meetings and Web conferences (see Figure 3). 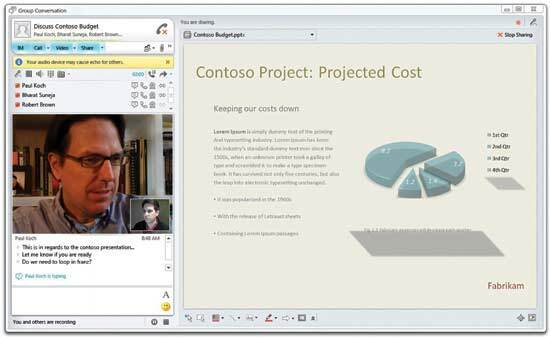 You can move seamlessly between instant messaging conversations and ad hoc online meetings; conduct online presentations to customers or partners using audio, video and screen sharing; invite external contacts to participate in online meetings; and view presence status of other users within Lync and other Office applications. Both Exchange Online and Lync Online support a coexistence deployment model. This facilitates integrating in-house and hosted services. Coexistence gives you the flexibility to migrate to cloud-based services at your own pace. You can keep some users on internally hosted servers, while migrating other users to Office 365. You can learn more about the coexistence deployment architecture by reading the Exchange Deployment Assistant page in the TechNet Library. With Office 365, you pay for what you need on a per-user basis. There are three subscription tiers available: Office 365 for Enterprise, Office 365 for Small Business and Office 365 for Education. Each delivers the appropriate set of services based on your organization’s size and requirements. You can easily provision new users as they come on board. You can also manage existing users with an online IT Management Dashboard (see Figure 4). The IT Management Dashboard lets you add new users, reset passwords, adjust subscription tiers, create security groups, manage service requests and so on. You can also delegate administrative control on a granular level. This lets you give your colleagues access to particular administrative functions based on user roles. For example, you could grant the legal department administrative access to user mailboxes. Office 365 also includes pay-as-you-go licensing and management of Office Professional Plus. 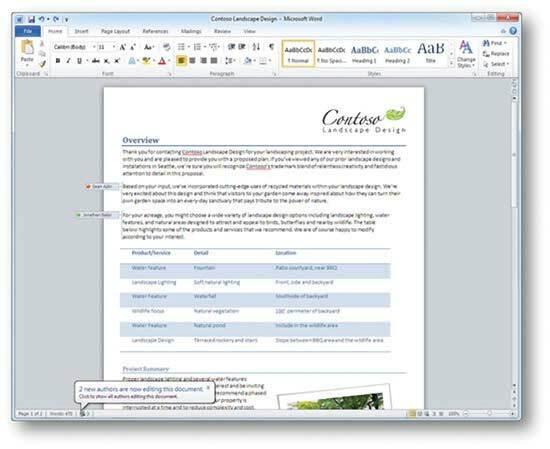 This features the latest version of Office desktop applications with integrated Office Web Apps. You and your users can have access to documents, e-mail, calendars or any other Office documents from virtually any device. Office 365 is poised to change the way users create, manage and share business-critical information. By bringing the familiar Office experience to the cloud, providing cross-platform and device access, and providing flexible licensing and deployment capabilities, Office 365 can help your business keep up with an increasingly global and mobile environment.